First of all, I'm going to apologize to all for my engrish - it's not my first language. Still, I'll do my best in order not to be too hard to read. I've searched a bit the forums for the subject I'm about to bring up, I don't think it was already discussed, all I can remember are a few occurences were some other forum users seemed to go in the same direction. One thing that is amazing with procedural generation is this quality : it makes the environments look as if they were preexisting, not man-made, and that is the true beauty of a game that is going to be set in space : Josh sets the rules but let the magic happen by itself - and by the power of maths. So, in my mind, that situation were anything can happen, were no one knows in advance what the next system will look like, is one of the things that makes the game feel really epic. If some of you are familiar with Ico and Shadow of the Colossus ( I know, this is a long shot, humor me, you'll see where I'm going ), they might remember the "Secret Garden". Then, the mystery behind this place was finally solved, but people kept thinking there was always more hidden somewhere in the world. At some point, someone found an immense dam that had been cut from the game... but also let there, hidden somewhere in the map. These stuff fed the imagination of players even further, and I'm sure those who still play this game keep feeling this voice in the back of their head. "There's more to this, somewhere." Another example want to mention, before I eventually attempt to make my point, is the Dark Souls Lore : for those who don't know it, or those who know it but aren't interested in it, it is one of the most captivating lore I've seen in games, mostly because it breaks a lot of preestablished rules we've had in fantasy - and games in general. It also had the player put in the position where he has to figure out things by himself, only being given clues here and there - heck, not even being given those clues, you had to dig them up yourself. If you can remember how you felt when you first reached Ash Lake, or when you found that huge skull in there and wondered what creature that could have been, you'll know what I'm pointing out. "Where the hell is he going with all this "lore" gibberish ? LT will have no storyline, no lore..."
Knowing these examples, you'll understand me better when I say that I want the unexpectedness that lies within a procedurally-generated world to be pushed even further... I'd like sometimes to have my ship systems to stop working for a second, to have my scanner pick unknown signatures for a few seconds, to have the system map simply not working in some systems ? There are lots of things we don't understand in the universe, physical phenomenons do sometimes occur for reasons that are yet unknown due to our limited knowledge of the universe. I'd also like the algorithms to allow some empty systems to be generated. 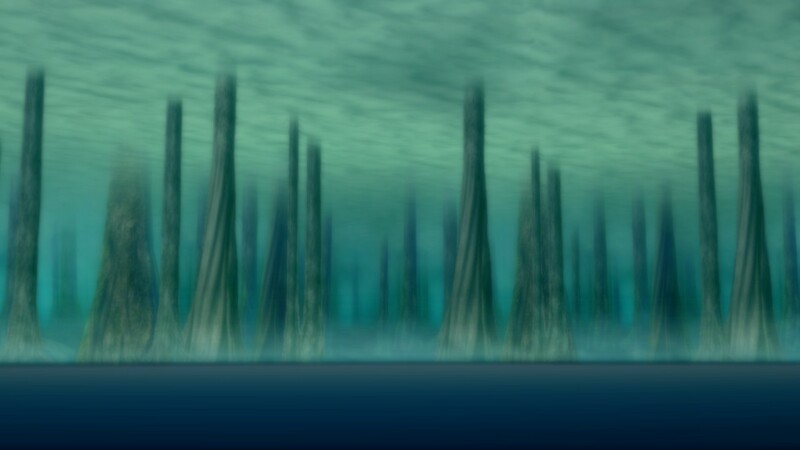 It is the abyss, the unknown, the darkness, the void, the cold that makes space what it represents in our imagination, and I hope these qualities make it to the game. There has to be unnamed planets, sterile ones, unuseful ones, empty systems, maybe, who knows, shipwrecks ? The final word is for Josh : keep up the good work. And, you know, you can have your little secrets. Maybe you have to. Go nuts, put some mystery in there, you don't have to tell us everything ! Thanks for reading me ! - I'm not creating this thread in the "suggestion" section on purpose, because the goal is to discuss this with other users more than really suggesting features to be implemented. I was about to suggest that this would be great for the Suggestions sub-forum but then I read your footnote. First: well thought out, lucid and attractive post! Secondly, I agree completely with what you say and share in your hope that Limit Theory will have this element of unexpectedness in its character. Suggested feature: Each newly generated universe has a 1:1,000,000 chance to spawn a single, elusive, ultra-creepy Herobrine NPC. Spacecredentials: looks at stars sometimes, cheated at X-Wing vs TIE Fighter, killed a titan once. This reminds me of an aspect of Star Wars that isn't talked about very often. There are billions of citizens under a government and each has their own story. You have a smuggler who is friends with a guy who owns a space station that orbits a gas giant, a farm boy who's friends with a war hero, and a senator who has decided to rebel against the government. If LT can present situations like these to the player then we will surely be looking at a unique game in story as well as game play. Well, I googled Herobrine, and, fatmop seems to get it somehow, even if I meant scientific wonders and unexpected events, more than supernatural stuff. But my reasoning was more about the environments themselves than about the characters - even if I must admit, now that I've read about that Herobrine thing, than something interesting can come from NPCs too. Mmmh, perhaps I failed to transmit what I have in mind. Unexpectedness! I definitely want that Sarif. I enjoyed reading your post and you certainly have no need to apologize about your English. I too want to see shipwrecks and as many other surprises as can be legitimately included in Limit Theory. More importantly, what about easter eggs? I want to search for that illusive diamond planet. I want to own it. I want to be diving into my diamonds like a porpoise, burrowing through it like a gopher, and throwing diamonds into the air to feel them fall upon my skull." @Rembrandt - Sounds beautiful. I'll get to work on diamonds asap. I didn't take it too literally but unexpectedness needs to be a part of this game . Victor Tombs wrote: Unexpectedness! I definitely want that Sarif. Nice to see I'm not the only one. To not know what's on the other side of a mysterious jump gate that leads to a void that hasn't even been discovered by any npc.? Truly a unique and special experience that everyone should be able to have in their own universe. IF YOU AINT OUT OF CONTROL, YOU AINT IN CONTROL! This topic is highly relevant to my interests. In fact, I previously offered some similar thoughts in the long-buried thread The Lost Worlds of Limit Theory. 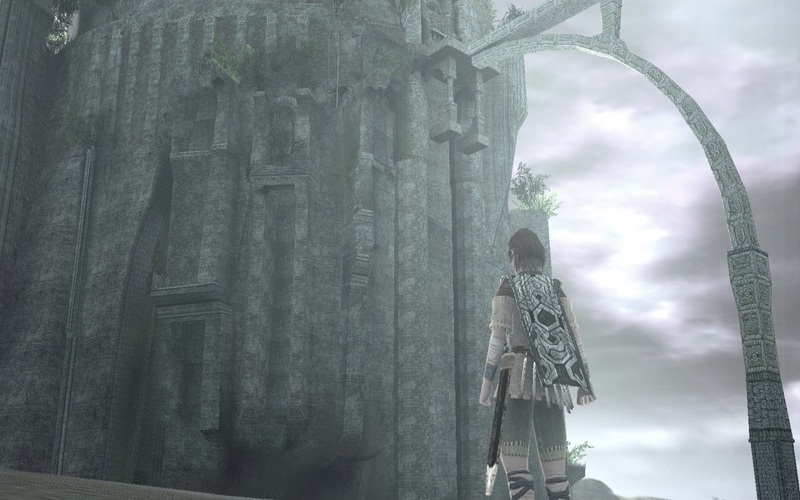 In a couple of posts in that thread, I discuss Shadow of the Colossus, surprise as enjoyable gameplay, and exploration as more than just mapping physical terrain. Other folks also made great contributions to those ideas, and Josh Himself commented at one point, so you might also find it interesting. That's not intended to undercut this thread; again, I very much like the thoughts you're expressing here and I hope we'll see more of them. Flatfingers wrote: Hi, Sarif, and welcome! Wow, first of all, I'll say "great minds..."
Now I feel really bad, I wouldn't have brought up that subject had I seen it previously discussed. Not at all, Sarif -- I'll go with that "great minds" idea. The Eurogamer article was pretty amazing in how it shone a spotlight on the power of discovery as play. When a game includes some hidden things, it becomes natural to ask, "Well, what else is there to discover?" That's a question that people can enjoy trying to answer, giving a game an extended life long after it's been "beaten." I don't know how much time Josh will have to think up rare surprises and tuck them away in the dark procedural algorithms of Limit Theory. But it's satisfying to think that such secrets could exist. Flatfingers wrote: I don't know how much time Josh will have to think up rare surprises and tuck them away in the dark procedural algorithms of Limit Theory. But it's satisfying to think that such secrets could exist. That's really my only issue with stuff like this. However, perhaps they could be farmed out to the community sometime later in the dev process? Inventing mysterious hidden easter eggs is something a community of modders could have fun with. Sarif, I was making a half-joke about Herobrine. I understood what you meant, and I think you're right that it might add interesting mystique to the game. McDuff wrote: However, perhaps they could be farmed out to the community sometime later in the dev process? Inventing mysterious hidden easter eggs is something a community of modders could have fun with. Only if they were submitted privately, modified by Josh before implementation, and he didn't say anything about which ideas were implemented... otherwise they wouldn't be secrets for very long at all.